← Did Former Basketball Wife Star Gloria Govan Get Too Close To Her Bodyguard? 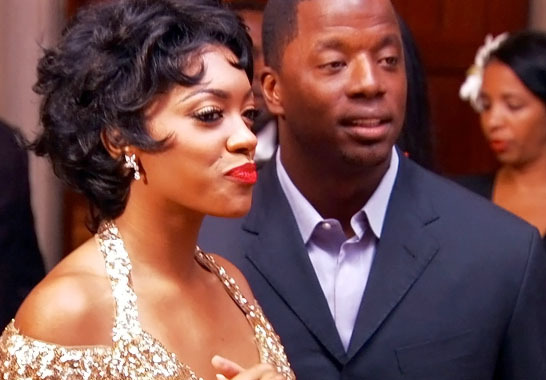 The details of Porsha Williams and Kordell Stewart’s divorce settlement have surfaced and according to TMZ, Porsha came out with absolutely NOTHING! NO alimony, NO house, NO NFL retirement money, NO cash-out, NO health insurance. She even has to pay her own credit card balances (damn Gina!). So what does Porsha get to keep? She will keep her engagement ring, $19,000 for her attorneys and other things like her jewelry, clothes and personal items. As for her ex-husband Kordell, he gets two houses, two plots of land, a 2013 Mercedes, a 2010 Porsche AND his full retirement benefits. He also will keep 100% interest in his companies. Not to mention the rumors of Porsha possibly getting axed from “RHOA”. Guess being his “beard” didn’t pay off like she had hoped. Because if they had an “agreement” like she kept emphasizing in the last episode of RHOA, she’s absolutely horrible at protecting her interests in agreements. Porsha girl….time to start looking for a new job! This entry was posted in Reality TV and tagged Atlanta, cash, divorce settlement, Kordell Stewart, Nothing, Porsha Williams, RHOA. Bookmark the permalink.